Back again – get your WIP, get your drink – I’m talking crochet cast offs and we’re diving into Pom Pom’s 5th Anniversary issue! Listen in for an awesome Pomfest giveaway too. You can also listen on iTunes, the podcast app, or search your favourite podcatcher, if you prefer! 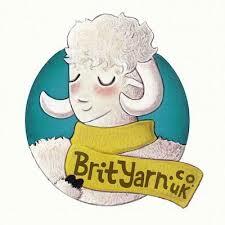 You will find the very best of British wool, an incredible range of patterns and awesome notions at BritYarn. Isla works to the Woolly Principles at BritYarn so that you can be confident of buying British wool, with provenance from British suppliers. Click on the logo to visit the BritYarn website and don’t forget to wish BritYarn a very Happy 2nd Birthday on June 2nd! Thanks so much for your feedback on the British wool love in the last episode. It has totally given me food for thought and it has really made me think about my responsibility to you as a reviewer. I do buy and have, in the past, accepted review yarn that is just labelled “British Wool” without any further information about what that wool is. 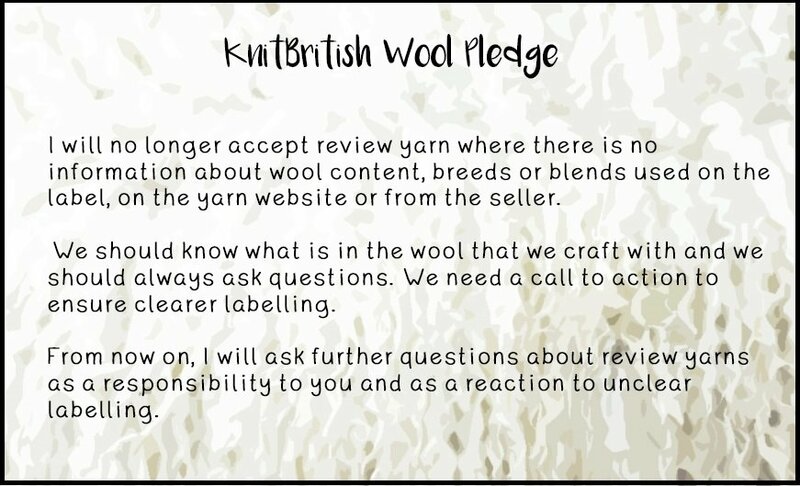 I feel that in a response to the need for clearer labelling it is not in my or your interest to review yarns with no traceability or content info. When you see “British Wool” on your yarn label and there is no accompanying info anywhere else on the content of that wool then ask the seller or manufacturer why. We really do need to see an end to unclear labels and a good place to start is telling yarn sellers the info that you want to see and that you feel is missing from their label. It does make a difference and it can result in us leaving that yarn on the shelf. I’ve just finished a big old crochet blanky for my forthcoming nephew! The yarn is WYS Aire Valley, from BritYarn. I just loved how smooth the Aire Valley aran crocheted. I’m not one for gendered colours for kids, so I went for bold brights with the rust, emerald and purple shades mixed with that lovely oatmeal-y light brown. A relatively quick project and very budget friendly. I used two skeins of the lt brown and less than a skein of each of the CCs. Since the last time BritYarn sponsored the show (thank you!) there have been a few awesome additions to the shop, such as the beautiful WYS Wensleydale Gems in bold, bright shades; their new sultry Exquisite Lace and goodies from The Knitting Goddess, including those oh-so-covetable mini skein sets and the new BFL and Nylon yarn. There are also very awesome Ethel stitchmarkers too! 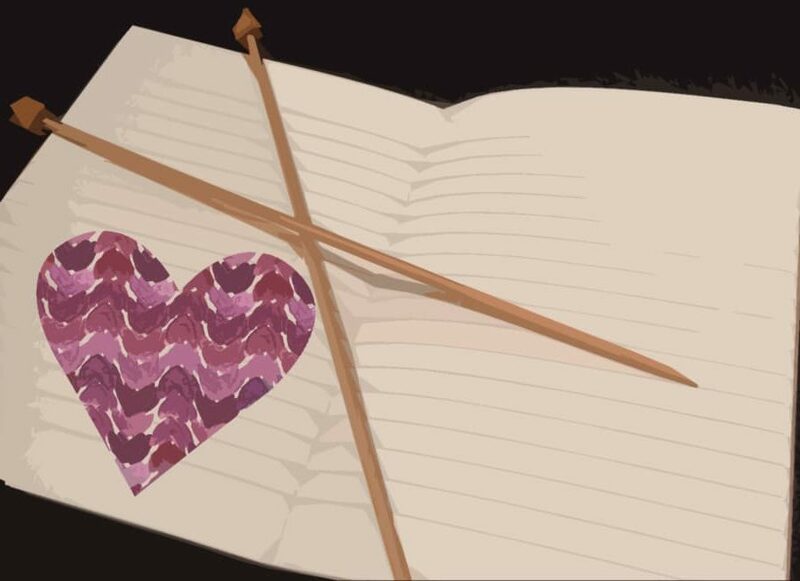 If you are interested in celebrating BritYarn’s birthday in a Ethel AND The Knitting Goddess related way, well you might just want to look out for a special something or other going up in the shop on 2nd of June. Thasssallamsaying! Are you planning yarny jaunts in June? There are a few to choose from! My Marin progress is going slow this week, but I managed to do a lot of knitting on it during the Eurovision the other week. I’m using a yarn from Kettle Yarn Co, which is soon to be released. It is Romney and Shetland and it is just deliciously woolly. There has been lots of remakery magic happening in the KnitBritish Rav group with lots of motivation going on in there. Some even have finished their remakes – Go you guys! Joy McMillan has taken the Remakery motivation to make us bags, from Denim fabric, which feature a quote by me. You can chose your own lining colour and knit print too! | Happy 5th Birthday Pom Pom Quarterly! Can you believe the wonderful Pom Pom are celebrating their 5th anniversary this year? There is mucho excitement with Pom Fest (14-15th July) ; a special re-issue of their first issue and an absolute bumper edition of the magazine, out now! They are available for £17.50! Pom Pom sent me a sneaky wee peep of issue 21 – which should be landing on doormats now – get a cuppa whilst I pore over the awesome content from Anna Maltz, Rachel Atkinson & Clara Parkes and some of the incredible designs from PomPom Alumni, such as Bristol Ivy, Veera Valimaki, Joji Locatelli, Francesca Hughes, Julia Farwell-Clay and MANY more. This issue is an utter delight, a real celebration of beloved designers, textural stitches galore and awesome featured content. Happy Birthday Pom Pom! Pom Pom have given us a pair of tickets AND a copy of the current issue as prizes! click for more info. Thanks so much for listening. I’ll be back on the podcast on 9th of June. I’ll have been to Leeds Wool Fest and will have chatted to our next Woolly Mucker Maylin. I also have yarn review for you and much more. Take good care and happy knitting! Music: Carefree by Kevin McLeod and Singin’ in The Rain (demo) by David Mumford – Both are on FreeMusicArchive and are both shared under Creative Commons Attribution license. Images are copyright to those attributed in the caption or in the accompanying information.